Just as more car manufacturers in India were gearing up to bring more hybrids and electric offerings in the country, the GST came in as a serious dampener. 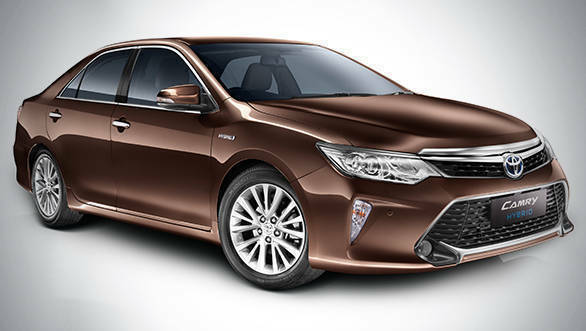 Toyota Kirloskar Motor has reportedly stopped production of the Camry Hybrid in India as the it got more expensive due to the goods and services tax along with the attendant cess applied on it. Back in 2013, Toyota has launched the Camry Hybrid at Rs 29.75 lakh, ex-Delhi. It was the first hybrid by Toyota to be assembled in India at the company's plant in Bidadi, Bangalore. 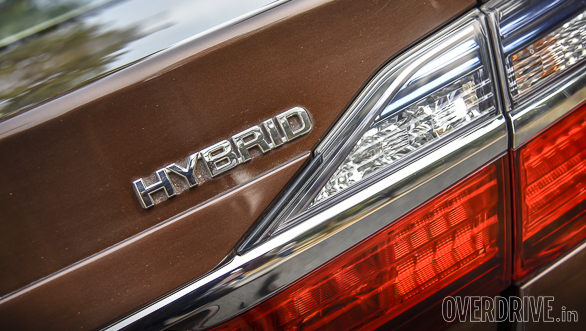 This was the second hybrid offering after the Prius by the Japanese car manufacturer. The growing sales of the Camry Hybrid sedan made Toyota produce more units of it instead of the regular petrol model. However, all of that changed with the application of 28 per cent GST along with the 15 per cent cess for luxury cars, making the Camry Hybrid more expensive by Rs 6 lakh at Rs 38 lakh. The Toyota Camry Hybrid went out of production in September as the hybrid sedan's sales decreased by 73 per cent compared to the same in the previous year. Toyota had invested Rs 39 crore, wherein Rs 15 crore was spent in the Camry hybrid facility and Rs 24 crore in training, campaigns and service. The company has a host of hybrid and electric models in the international markets. And the Camry Hybrid and the Prius were just the initial models. It was already known that the company was working on introducing most of them in phases, which includes the Alphard. However, with the new GST structure, the company might have halted all those plans for India. "We don't have a business case to persuade our parent company in Japan to step up investments on hybrids in Bengaluru, given the punitive tax structure," said Shekar Viswanathan, V-C at Toyota Kirloskar Motor to ET.